"We’re wasting our brains and our only world on the design, production, and consumption of things we don’t need and that aren’t good for us." The pace of change and innovation is increasing at an alarming rate. Staying ahead of the curve requires constant progress and execution of good ideas. 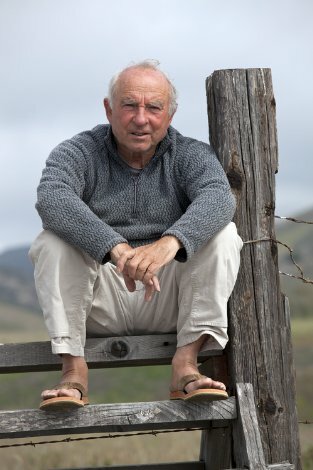 The founder of Patagonia, Yvon Chouinard, believes that these ideas can originate from the least likely of places, in Patagonia’s case that place was Walmart. Patagonia learned that despite obvious differences, Patagonia and Walmart had shared concerns and constraints that could be better solved by working together. While The Responsible Company is intended to serve as a guide for companies to become more environmentally “conscious”, I read it mainly out of curiosity as to what makes Patagonia different as a company. I found the principles broadly applicable, not just to outdoor clothing manufactures or retail stores, but businesses large and small as well as individuals, and it all starts with becoming responsible. 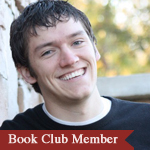 "Know Your Impacts, Favor Improvement, Share what you Learn." You have to understand the results of your actions before you can implement improvements or share with others. This formula applies to situations outside of business, whether it is how you interact with your family, or picking a new hobby. In trying to be smarter about where you allocate your time, attention and resources, you are invariably choosing to not do something else. Still, the things you are actively choosing to do have a greater sphere of influence than just your decision. Constant optimization and selection of the best possible choices isn’t always an option. Fortunately, becoming responsible doesn’t ask such a high price. So long as you are trying to make smarter decisions when presented with a choice in the future, you can become more responsible. An old adage declares that, “you don’t really know something until you’ve taught it to another.” Sharing what you learn solidifies thoughts and ideas for yourself as well as being the genesis for other ideas both for yourself and others. "It dawned on us that we really didn’t know how to make clothing responsibly, and we were failing as a business to lead an examined life." The act of stopping and processing decisions alongside a result can help to more accurately weigh the true cost of an action. If you stay late to finish a project what impact will that have? Will you miss dinner with the family? What if you decide to sleep in since you stayed up late? That may reduce the likelihood of you getting in your run before work. These examples sound juvenile but asking questions and examining the answers helps to disclose the cost of decisions. The act of asking questions will not guarantee improvement or responsibility; however, the knowledge obtained through questions is a necessary precursor. Having the connections between cause and effect, or decision and impact, can help to favor improvement in the future. "... it’s also worthwhile to look at what seems most difficult and far-fetched. What seems hardest to do, or boldest, may be precisely what you need to do to motivate others, including customers and competitors, as well as suppliers, to join you in your efforts. Checking off the easy stuff gives us experience and builds confidence. Tackling the big stuff, and surviving setbacks and failures, makes us smarter, stronger, and more useful to others." Often with large projects it is easy to develop tunnel vision focusing exclusively on the end goal. However, Chouinard explains that in striking a balance between projects big and small, you will achieve greater success. You need to have multiple projects in the works. You need to have small projects that help to get you some quick wins and build some momentum. At the same time you need to have some monstrous ideas that get you excited. You need to strike a balance between short and long term goals. By accomplishing your small goals your larger goals are made possible. The Responsible Company prompted me to examine my life and question some of the choices I regularly make. I realized how much my seemingly innocuous decisions impact others. For example, by waiting to write this summary until tonight, despite having time to work on it earlier in the week, I am up late which might derail my morning run. Our lives do not separate into nice little silos, there is tremendous overlap between work and personal, health and family. Being responsible is about recognizing those connections and how decisions made in one area of your life will invariably influence the rest of your life. Being responsible is about trying to make smarter decisions based on past experience. Being responsible is a process rather than a destination, you don’t arrive but rather have to continually examine and improve which is why big and small projects/goals are so valuable as fuel for motivation. In the comments let us know how you plan to be more responsible.